Our speaker this week will be Harold Kwalwasser. 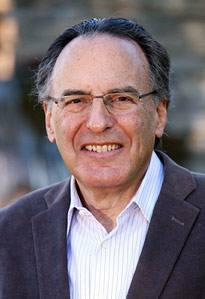 Mr. Kwalwasser is the former General Counsel of the Los Angeles Unified School District. He is an expert on school management issues and education policy and politics. He currently consults and writes on education reform. His is the author of the new book, Renewal, A User’s Guide to Remaking American Schools for the 21st Century published by Rowman and Littlefield in March 2012. He plans to speak about the challenges to education, and how groups like Rotary can get involved and bring fixes to the broken parts and support to working parts.